The black steel pipe and PVC pipe---PVC pie is made up of PVC resin, stabilizers, and other staff. It is the original element of polyvinylchloride. It has several difference aspects of function with black steel pipe. For the inner side of diameter, the black one is in secession. On the contrary, for the outer side of diameter, the PVC pipe is continuous. Compared to the normal length of black pipes, it has the double length of PVC steel tubes. The basic standard of the former one is more than 10m, while the PVC pipes would come to more than 5m for their interfaces, which is one time more than black steel pipe's standard length in a unit laying length. The feature of intensity is different as well between the black pipe and the PVC pipe. It is more than 300Mpa for every black ones. Therefore, its intensity is quite high. One of the reason is that, this kind of pipe can be designed on their loop and density in order to meet their requirement of typical installations. On the other hand, the PVC tubes is pretty low, over 40Mpa because it cannot designed go according to their needs. For the aspect of model, the black pipes are nearly eight times of the PVC pipes, 25Gpa and 4Gpa respectively. Owing to the internal and external press, the black pipes can be designed by your own, while the PVC pipes do not have that ability. The original material of strong steel makes it possible to resist hard impact for its outstanding structure modulus. Therefore, we can see that this pipe can consist on working under strong external shock. However, the elasticity’s modulus is quite low for the PVC pipes. Naturally, it cannot continue on working under impact. 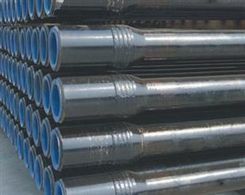 According to different transporting material, we can choose different steel pipes that suit your requirement. For the black pipes, it can resist corrosion of the materials, while the PVC pipes do not have that ability. 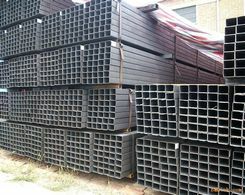 The boundary of safety is different among the pipes, for the black pipes, they are quite high, with more than 6 strength of it. That is why we can use it in the extreme conditions. Yet, the PVC pipe is less than 4 of its safety margin. After long time usage, the black pipe can resist the UV impact to prolong their aging. According to scientific research, the black pipes have longer history than the PVC pipes. Different feature of these two pipes are putting in use in various conditions. As you may know that welded steel pipe and API steel pipes are provided in your list.